I am very excited to add my knowledge, insight, and perspective to the ND Neighborhood! From my time as a youngster, my recruitment in high school, and the amazing opportunity to play at one of the most prestigious universities in the world, I have obtained a unique view of athletics, academics, spirituality, and community. I hope to open the eyes of die-hard fans and give them a glimpse into the world of the collegiate student-athlete and highlight the reason why Notre Dame is such a special place: The People. Most of what is seen on college football Saturdays only scratches the surface of the preparation and sacrifice required to lace up the spikes and put on the eye black. I have experienced the agonizing feeling of defeat at the hands of our rivals as well as the thrilling sense of victory on some of the biggest stages in college sports. At the University of Notre Dame, I had the amazing opportunity to play football and baseball. I appeared in 19 games during my career with two starts at quarterback. As a member of the Irish baseball team I earned monograms and led the Irish baseball team in `08 with 13 home runs and .691 slugging percentage and recorded a .326 batting average while driving in 40 runs. Was drafted in the 50th round by the Seattle Mariners in the 2009 MLB First-Year Player draft & played two years in the Mariner's organization winning championships with both teams. I completed my B.A. in History and Education through Notre Dame's College of Arts and Letters. I am also a licensed teacher in the state of Indiana. Also, completed a master's degree in teacher leadership. 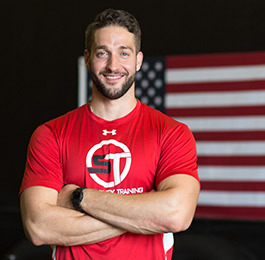 Most recently, I am the owner of Sharpley Training and go by the Twitter handle of @EvanSharpley if you want to give me a follow! I am honored to represent the University of Notre Dame and I will carry on the great tradition and excellence that has been passed down from previous Notre Dame men. Go Irish!